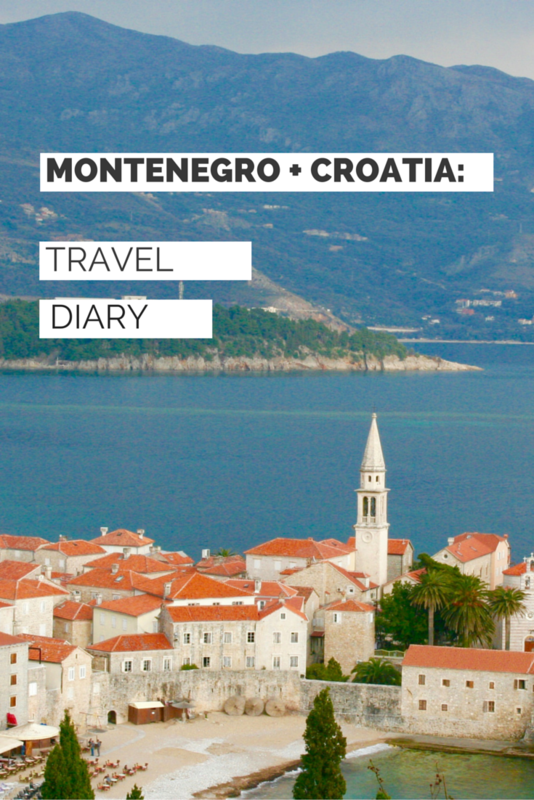 We took the early morning bus to Dubrovnik from Herceg Novi which takes about an hour and a half with all the checkpoints on the way. 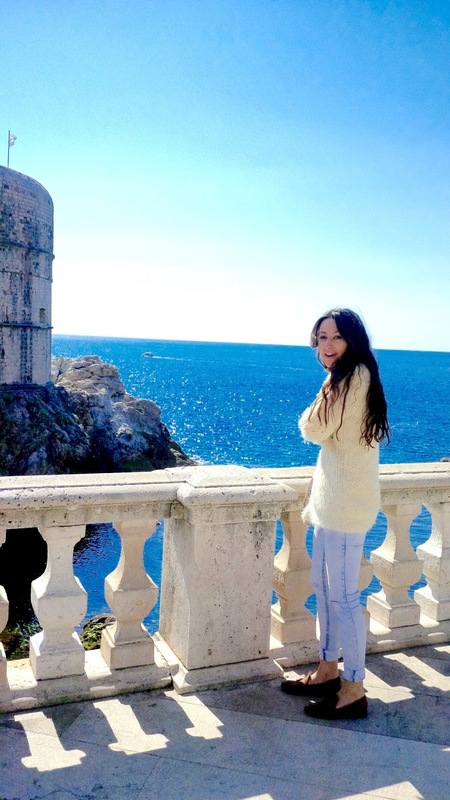 It is a really scenic drive en route to Dubrovnik and it even offers a bird's-eye view of Dubrovnik's old town if you seat yourself on the left side of the bus, so I advise not sleeping! 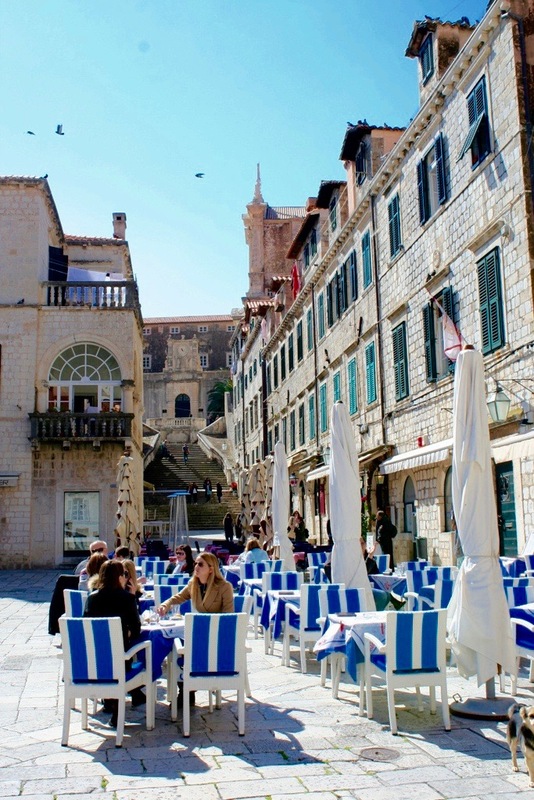 What was great about going this time of year was that the tourist pitches hadnt begun yet and we go to experience Dubrovnik as it is without the hoards of tourists, tour guides, tourist persuaders and souvenir enthusiasts. 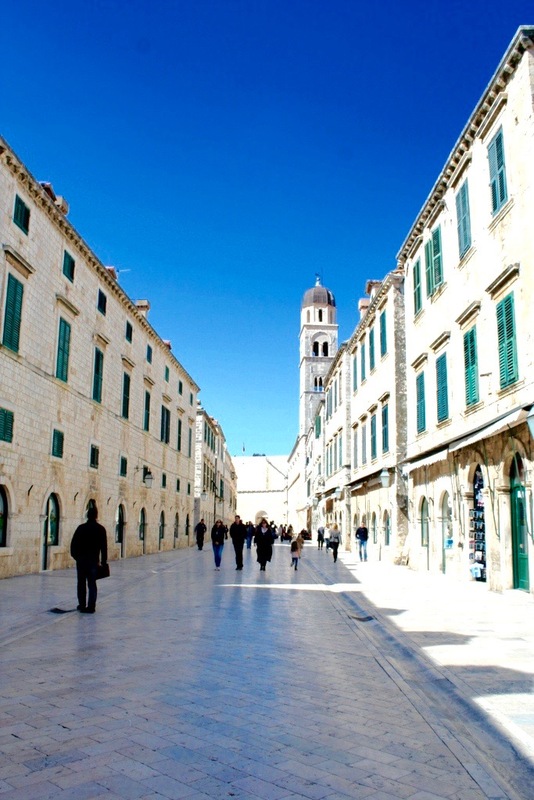 This was not the same when we went to Dubrovnik again just a week or so later! So it was crazy how different the beginning of march to the end of March can be tourist-wise for the city! We arrived and it was very VERY sunny and hot, something we didnt expect but it meant that the sky was really blue and the sea even bluer! We decided to conquer the Old City which you enter through the above fortification gates. 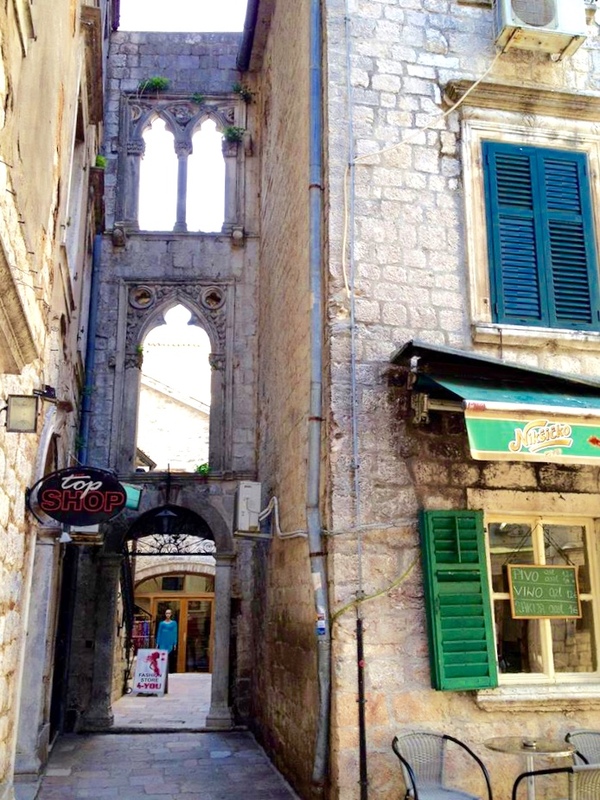 Unlike the other old centres of the Mediterranean, like Rome or Athens, Dubrovnik is a time capsule of the 13th Century and onwards. 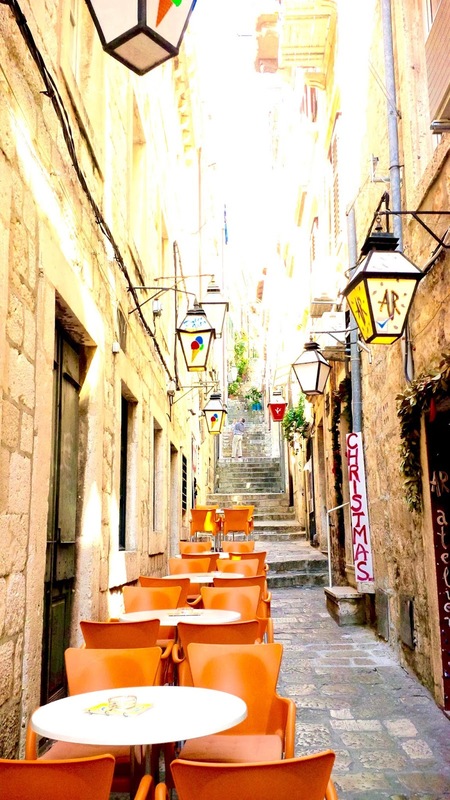 Its fortification walls enclose Gothic, Renaissance and Baroque buildings topped with red roofs that make you feel like you are momentarily paused in a time before your own. 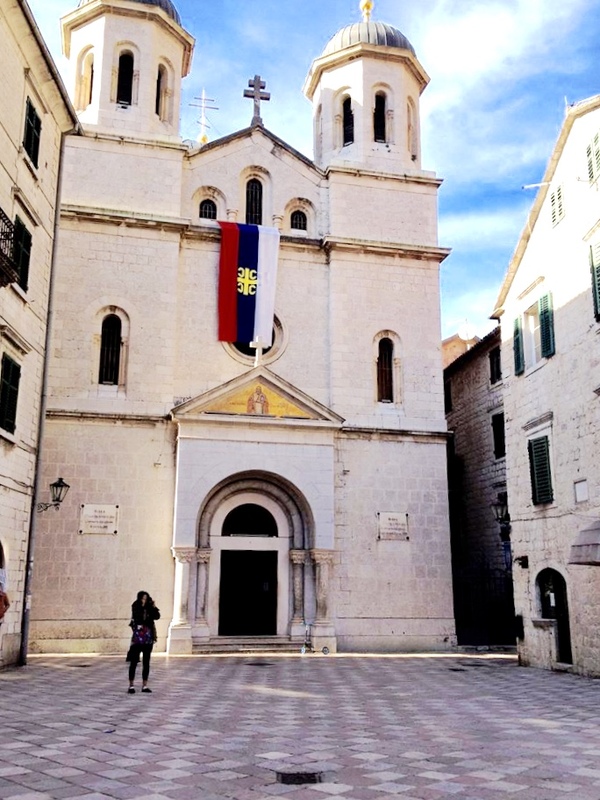 The first thing we did when we entered was visit Europe's 3rd oldest pharmacy that dates back to 1317 which is located in the Franciscan Monastery. 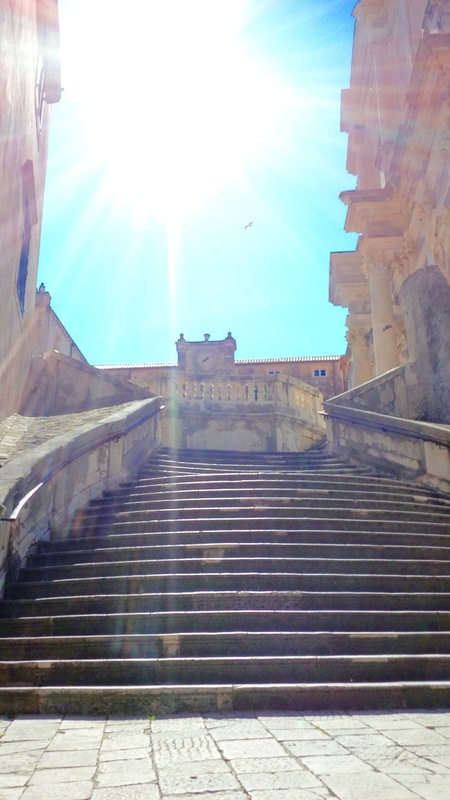 View of Gundulic square in front of the Jesuit Staircase, this staircase was used in the Game of Thrones for King's Landing scenes! 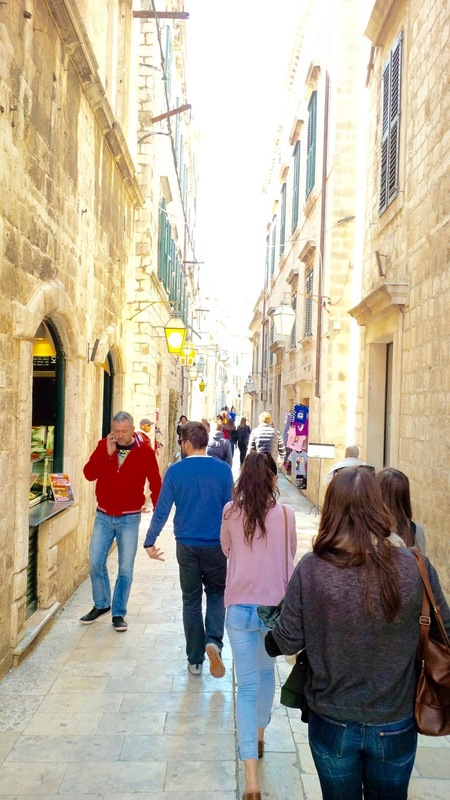 Walking around the lanes of shops and restaurants! 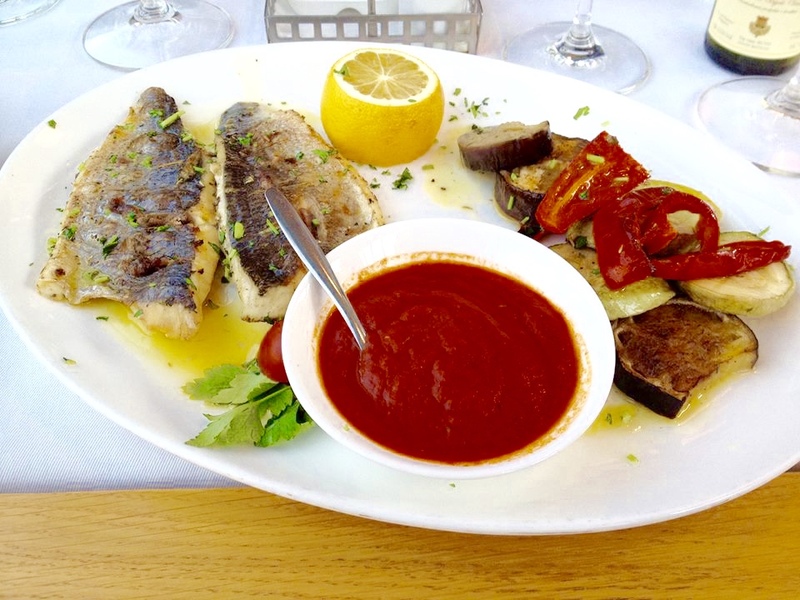 We decided to stop and have lunch at one of the restaurants along the harbour, the Gradska Kavana was unfortunately closed so we ate somewhere where the food enticed us! 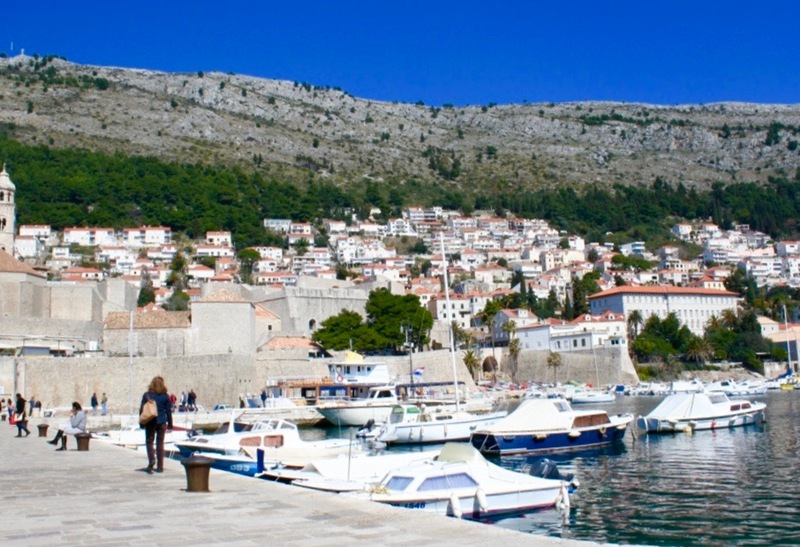 We then walked the harbour and contemplated if we wanted to climb the fortress. We decided we didn't have enough time and that because it was hot (and we weren't prepared, seeing as though we were layered up!) we opted instead to have crepes and ice-cream. 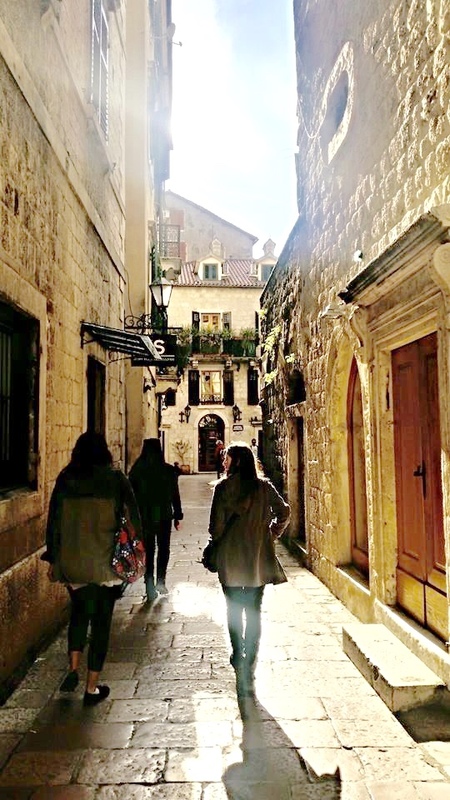 We, like most of this trip, took our day-trip to Dubrovnik very casually and put emphasis in a slow-paced good time. 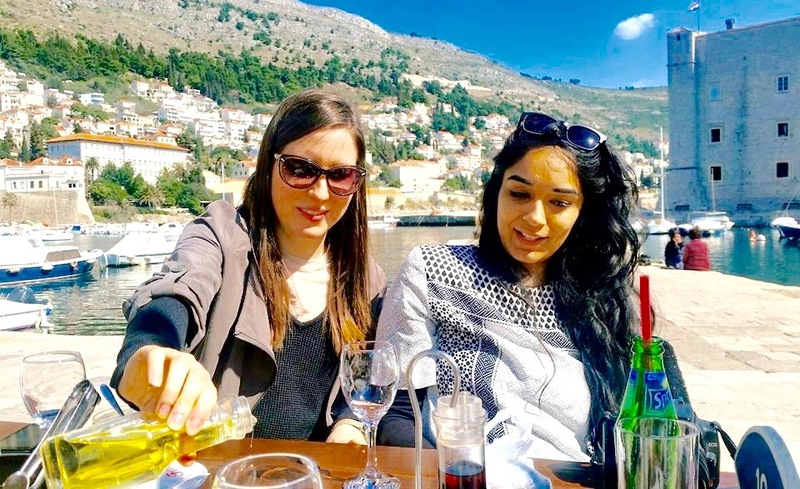 There is much more to see and do in Dubrovnik but we didn't want to rush or stress ourselves considering we were on break from grad-school. What our motto for this trip was what Nila said: we wanted to eat meals and drink coffee in beautiful places where we could reflect upon what we have seen and done and where we would like to go next (metaphorically and literally). 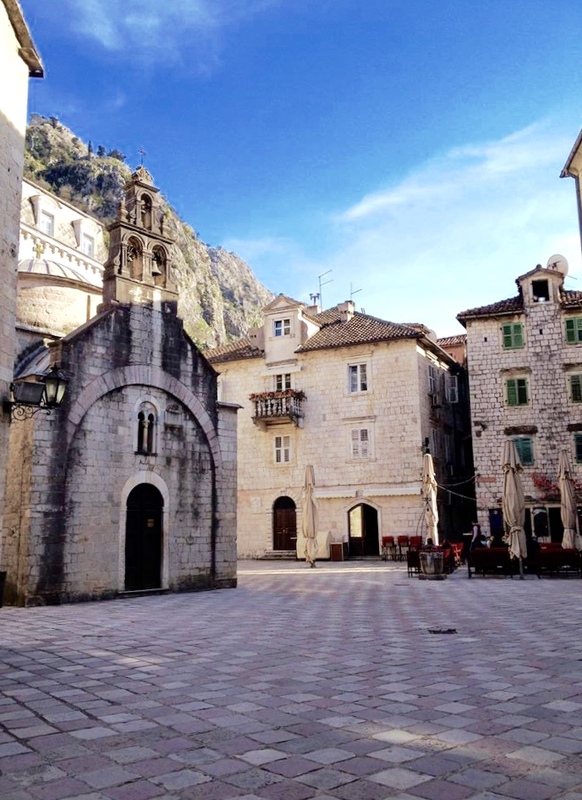 Day 4: What an Adventure in Kotor! 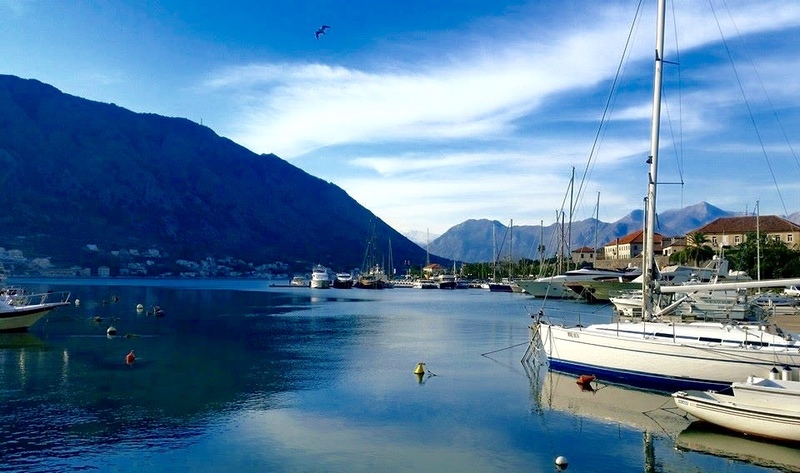 It was Kasey and Nila's last day with us so it was fitting that we visited Kotor, another gem along the Bay of Kotor, Kotor itself. We took the early morning bus over and spent the whole ay discovering this beautiful place. 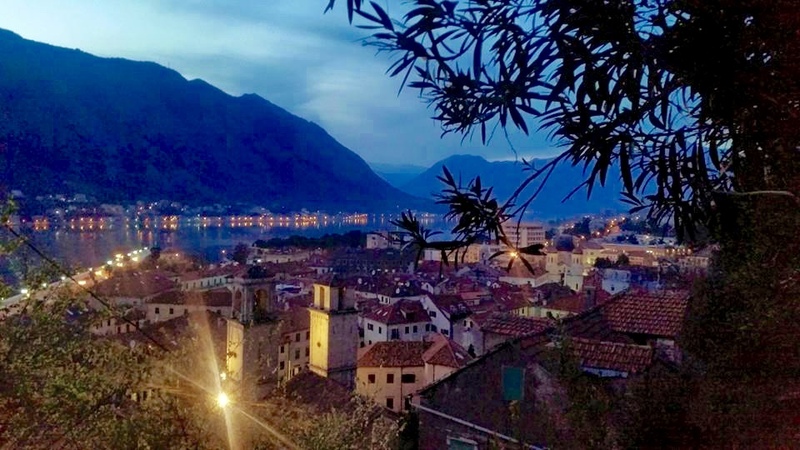 It is surrounded by Venetian fortifications and even has a fortress high-point thats pictured below. 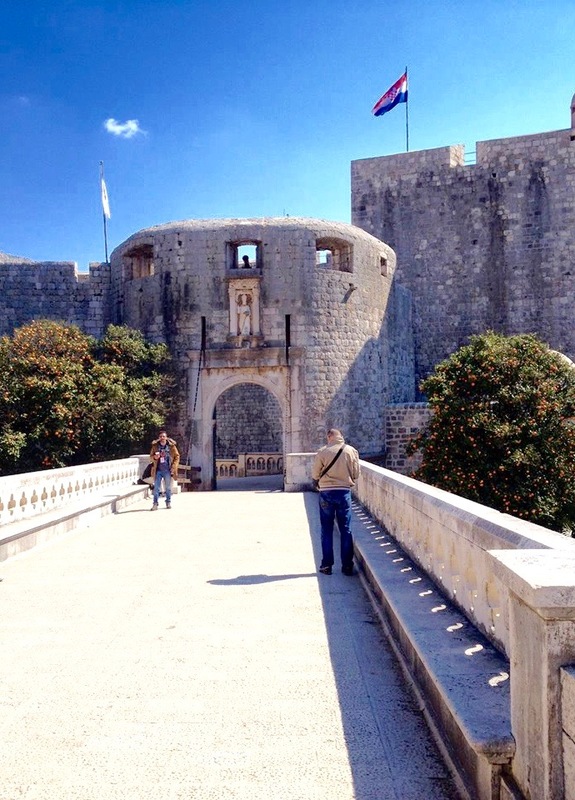 Entrance to the main centre is through the beautiful Maritime gate in the city walls. 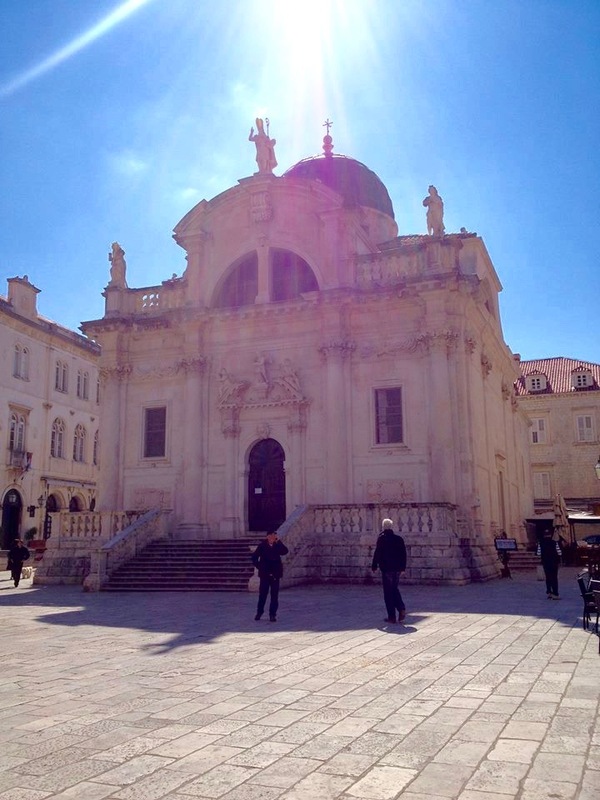 And again like Dubrovnik it feels as though you have entered a Venetian time capsule. When it was time for dinner Kasey pointed out a little restaurant named Galion across the water and we decided to walk over there to give it a try. 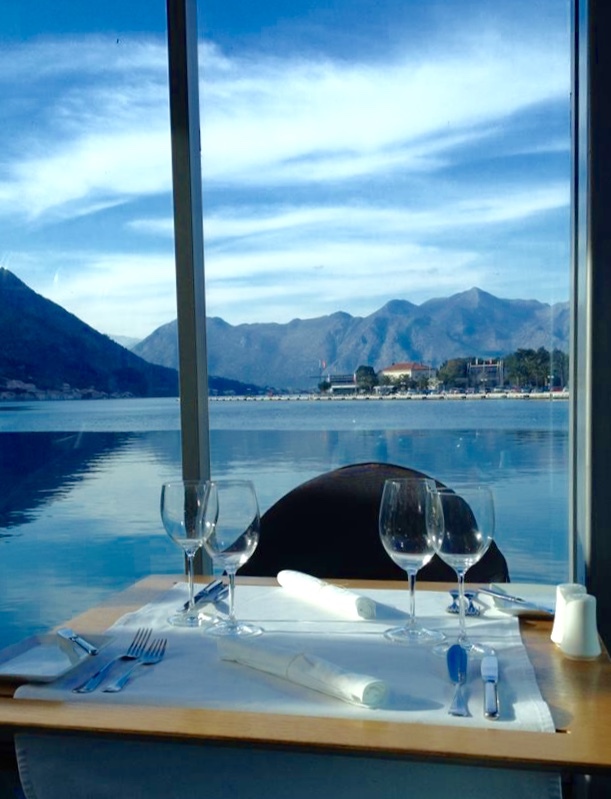 We were absolutely blown away by it, and now that I have done research on it it is the #1 rated restaurant in Kotor on Trip Advisor (We should have let Kasey always pick!). 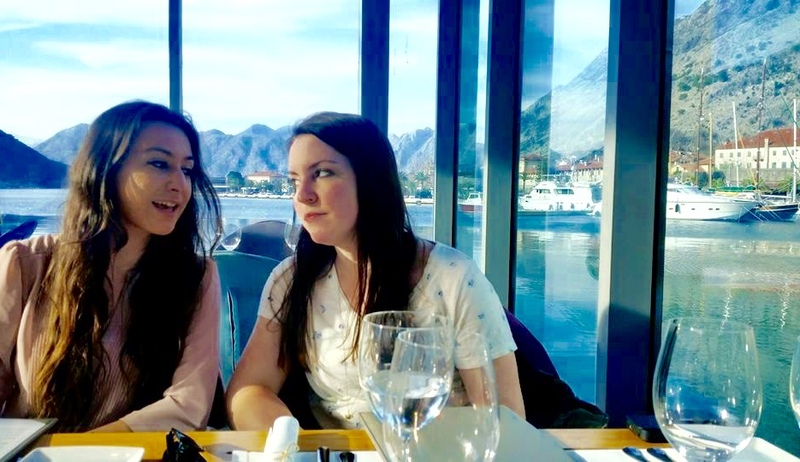 It was a seafood restaurant which had an exterior seating section that was all glass windows and on stilts on top of the water. 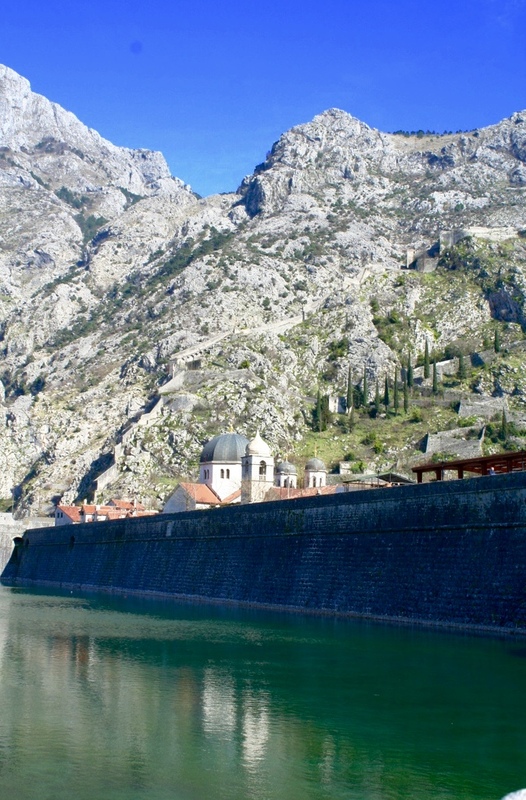 It looked out to this beautiful view of the natural beauty of the ria (submerged river canyon), mountains and Kotor. Keeping in mind that I am vegetarian their primavera pasta was DELICIOUS. But what I recall being of most importance food-wise that night was the dessert. I dont remember the name of it but it was a layered chocolate ice-cream cake. It has become the best dessert I have eaten anywhere! I hope you enjoyed days 3 and 4. 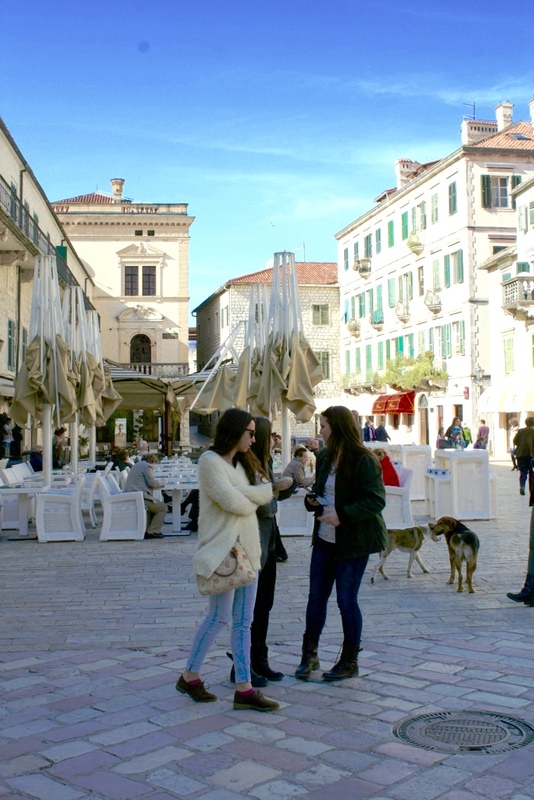 The next travel dairy will include some more Herceg Novi and Split! 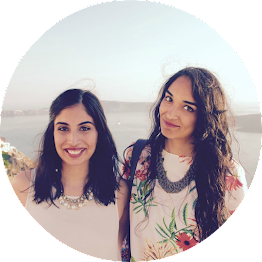 Remember to read Travel Diary Part 1 and have a look at the Travel Itinerary. I've been wanting to go for the longest time! It's great that you got to travel there with less of a crowd...love how bright & sunny the pics are!